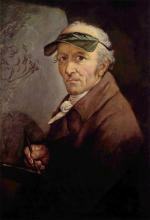 Anton Graff (November 18, 1736 - June 22, 1813) was an eminent German portrait artist. 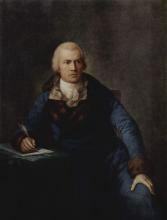 Among his famous subjects were Friedrich Schiller, Christoph Willibald Gluck, Heinrich von Kleist and Fredrick the Great. 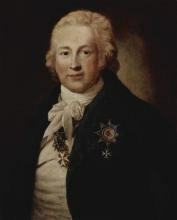 Graff was born as the son of a craftsman in Winterthur. There and in Augsburg he learned to paint. 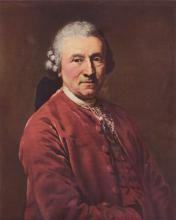 In 1766 he was appointed a painter and lecturer at the Dresden Art Academy. In his later years he turned to painting landscapes. 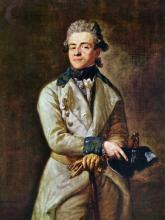 He died in Dresden at the age of 76. Graff was one of the most important painters of his time. Some 2000 of his works survive. 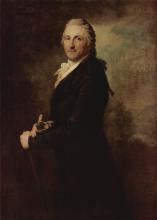 Many are displayed at the Goethe Museum in Frankfurt and at the Städtische Galerie in Dresden.